In Season 1 we spent a little time tracking the Enlightenment’s impact on the Christian Faith. Dual impetuses emerged; one leading to Liberalism, the other to Fundamentalism, which was the reaction of Orthodoxy to the challenges of Liberalism. In this episode, we’ll drill down a bit more on Christian Liberalism. Those promoting theological liberalism hoped to bring Protestantism into the modern world of science, philosophy, and secular history. The pastor of the hugely influential Riverside Church in NYC & champion of Liberalism Harry Emerson Fosdick wrote in his autobiography that he aimed to make it possible for a person to be both an intelligent modern and a serious Christian. Liberals concluded theology had to be reconciled to science & rationalism if it hoped to hold a place in the modern world. They refused to take as fact doctrine that rested on authority alone; whether that authority was tradition ensconced in ecclesiastical hierarchy, or Scripture. They insisted that faith had to align with the tests of reason. Doctrine must conform to scientific norms. A subtle edit was made to the way people did theology. Classically it had been that God was understood as infinite while man was finite, limited. So God would always be bigger than man’s intellect. While God made man in His image so he could have a meaningful relationship with Him, there would always be aspects of God’s being that transcended man’s finite mind. God could be apprehended, but not comprehended. Liberals tweaked that and said that the human mind was able to “think God’s thoughts after him.” Therefore, God was to be understood through reason & deduction. God could not transcend the realm of human experience. Interesting that throughout history people may have not know WHY they existed, but they certainly had a sense there was a reason and spent a good portion of their lives seeking to discover it. Liberals glommed on to this very real if otherwise irrational faculty of feeling within people as the point of contact with modernity, saying they could help scratch that itch – because it was the religious urge they had answers for. Christianity wasn’t irrelevant as secularists gleefully proclaimed. Liberals confidently claimed their edited form of Christianity could nurture and provide solace for modern man’s emotive self. It would babysit his soul while the rest of him got on with the harsh demands of Modernity and Progress. The new darling of modern science, Evolutionary theory quickly became Fact for Rationalists. Liberals were duty bound to accommodate the new ideas. They attempted a reconciliation of their beliefs with evolution. They claimed Darwinian Evolution supplemented Christianity. They regarded Scripture, the church, faith and even the human soul as all being products of evolutionary progress. But it was in modernity’s impact on the study of history that Christianity faced its biggest challenge. Science questioned God’s role in Creation. The new approach to history challenged Christianity’s authoritative base: The Bible. And this is where we turn to speak of “Biblical criticism.” As used here, criticism doesn’t mean to rip scripture to shreds. The Bible critic is an academic or scholar who approaches the text from a rationalist perspective. They find a scientific basis for their conclusions rather than accepting religious dogma. Biblical criticism had 2 flavors. There was what’s known as lower & higher criticism. Lower criticism handled issues of problems of the written text. It dealt with things like manuscripts; their ages, transmission, quality, and other physical realities attached to so many ancient documents. It produced little to concern orthodox believers. That can’t be said of higher criticism which attacked the traditional & accepted meaning of the text. Driven by the need to reconcile Scripture with the accepted standards of rationalism, miracles and the supernatural were dismissed; assumed to be flights of fancy of a pre-scientific world evolution had blessed delivered the humanity from. Higher critics went to work investigating when Scripture was written, who wrote it, to whom and why. The problem is, they brought to their study almost a knee-jerk determination to disregard anything traditionally believed about it. Their conclusions shook orthodoxy to its core. The Torah, the first 5 books of the Bible which tradition said were penned by Moses, were given a new treatment by higher criticism which developed the Documentary Hypothesis, claiming it was written by 4 different authors. Passage that were thought to be prophetic were made out to have been penned after the fact but only made to look like they were written before the events they foretold. Higher critics said the Gospel of John, wasn’t – written by John that is. They made it their aim to liberate the real, “historical Jesus” from the One traditional Christianity, and even The Gospels of M,M,L&J had made Him. Discontent with the Jesus of Scripture they wrote their own accounts of what he was REALLY like, nevermind that they were penned nearly 2000 yrs later. Apparently it’s better to trust the scholarship of a liberal scholar informed by rationalism than one of the guys who lived with Jesus. The upshot of Biblical criticism was the bruising blow it leveled to the confidence of the average person in the reliability of the Bible as a valid witness to the Christian Faith. But Liberals saw in it a radically different approach that opened the door to the new class of “intelligent moderns” as Fosdick called them, who wanted to scratch that indelible religious itch. Liberals no longer had to apologize for difficult passages skeptics had questioned. They simply said those passages were merely the inclusions of fallible people whose societies hadn’t evolved yet. The early 19th C saw the rise of a reaction to the cold, sterile mindset raw rationalism tended to produce. It was called Romanticism & flowed most demonstrably in the realm of philosophy & the arts. It looked at life thru feelings. Romanticism railed against the idea humanity was some cog in some vast universal machine. It stressed the individual’s pursuit of meaning, relevance, and purpose, not through propositional truths that produced doctrines, but through feeling alive in such a way that it sparked a sense of wonder that fueled the awe that leads to worship. The two most influential proponents for Christian Romanticism were a couple of German theologians; Albrecht Ritschl and Friedrich Schleiermacher. Schleiermacher said attempts to provide a rational basis for Christianity were useless because they missed the point. Religion wasn’t about proof, it was about feeling. God isn’t a needed to explain origins; He’s needed to provide a reason for existence. 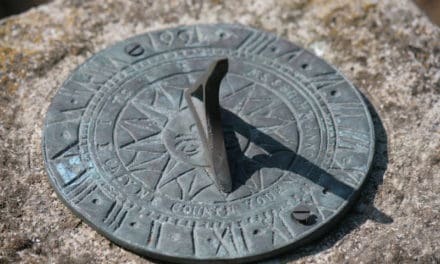 Who cares HOW we got here; all that matters is WHY we’re here now – and that why doesn’t need to be connected the the how, or what, or when or where of intellectual investigations. For Schleiermacher, religion was intuition & feeling; the awareness that there must be a reason back of it all. And being a genuine human being meant being intentional about finding that reason. 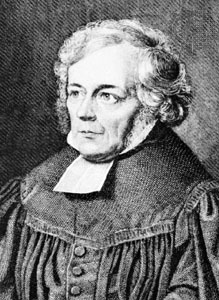 Schleiermacher was critical of orthodox Christianity that located what it believed in creedal statements embodying propositional truth. He said modern Christianity must eject its creeds. If it failed to do so, it would lose the battle for the hearts of modern men and women. He cast sin as a sense of alienation & isolation from others, supremely from God. That alienation came from being selfish and was remedied by being kind, compassionate, by linking one’s inner sense of purpose with other’s sense of purpose. Jesus, Schleiermacher said, wasn’t to be understood as God incarnate, but as someone who achieved the perfect realization of His union with all others, and especially to God. In other words, no one felt more alive & connected than Jesus. He was “our great pioneer” in the realm of the spirit and morality who paved the way for us to achieve the same kind of connectedness. Albrecht Ritschl elaborated on Schleiermacher’s ideas by asking a practical question, “What must I do to be saved?” But for Liberalism, salvation isn’t a matter where going to heaven after death. Salvation is liberation from sin, and sin for liberals is alienation and isolation, a loss of the feeling of connectedness with others. So to be saved means a life free from selfishness. And no one did that better than Jesus. So Ritschl accepted the demythologized historical Jesus produced by higher criticism and used him as the template for what a genuine, authentic human being looks like; what a life worth living is like. Christians ought to follow Jesus, Ritschl said, not because He’d lead them to heaven, but because he’d lead them to their true selves. In the late 19th C, many Christians found these ideas helpful because they seemed to take it away from the very fronts Rationalist critics were attacking. What did it matter if skeptics said the virgin birth was a myth? Christianity wasn’t dependent on that. In fact, nothing the rationalist said harmed anything the Faith said was important because Rationalism had nothing to do with wonder, awe, feeling. Liberalism didn’t intrude into a single or even small number of denominations. It challenged traditional orthodoxy across Europe and North America. When it first emerged, it was battled hard by conservative leaders and theologians. But it eventually won out in many seminaries and colleges and eventually in many main line denominations where it’s ministers were fed a heavy does of it in their schooling. In conclusion, traditional orthodox theology regards liberalism as heretical because it denies the essentials of the Christian faith. 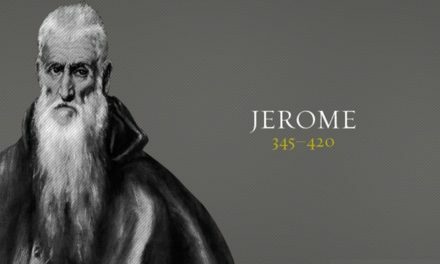 Those essentials are well knowns to the subscribers of Cs who remember how earnestly the early church labored over exactly how to express what it believed about who and what Jesu was and made it clear he was nothing less than God incarnate; two unmixed natures in one integrated person. Jesus is indeed our example, but He’s not JUST that. He’s also the Savior Whose death atones for sin and Whose resurrection bestows the power of a new life. Yes, feeling is important in the Christian faith, but it’s feeling founded firmly on FACT. Believers don’t check their brains at the door. They use them to love the unseen God by serving those they do see.